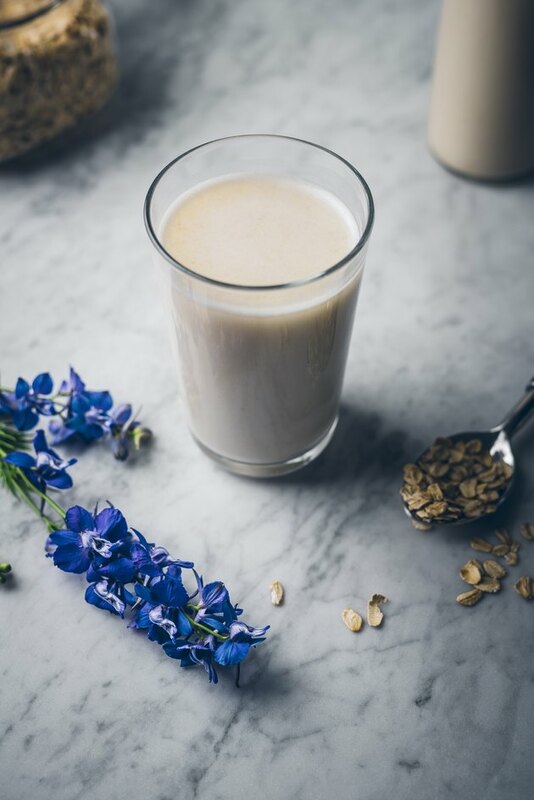 Oat milk is delicious, velvety, and perhaps best of all—nut free! It escapes the trappings both of nut-based milks and dairy-based milks for those with associated allergies, while being no less full of flavor. It’s also extremely easy and affordable to create at home. No soaking is required at all—just add water to the oats with a bit of salt and sweetener, blend, and you’re good to go. Add the water and oats to the blender. Cover the blender body with its lid and blend on medium speed for 10-15 seconds (if using a high-speed blender). 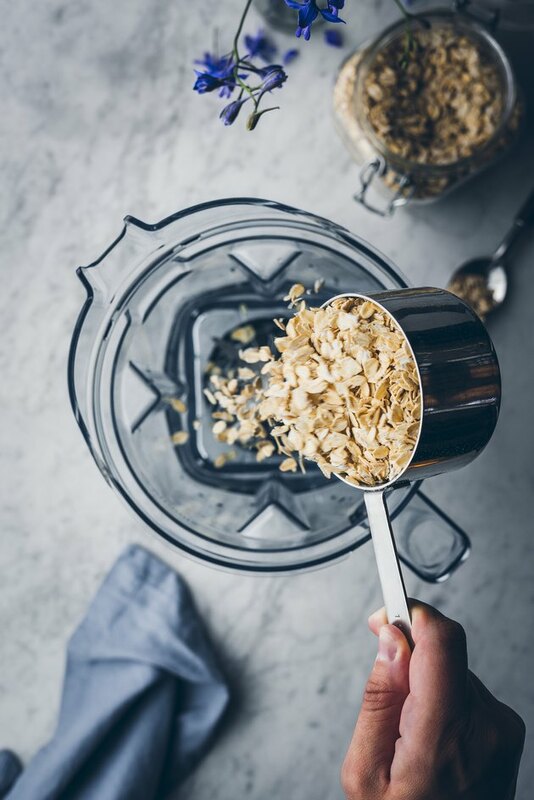 If using a regular blender, increase blending time to 30-35 seconds, or until the oats are just blended. 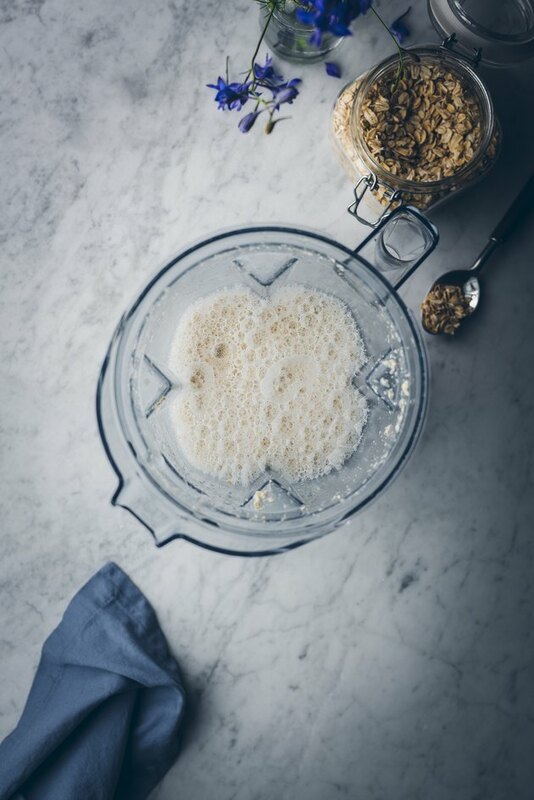 Be sure not to over-blend the oats, as the oat milk will take on a slimy texture. Set a fine mesh sieve lined with cheesecloth over a bowl. 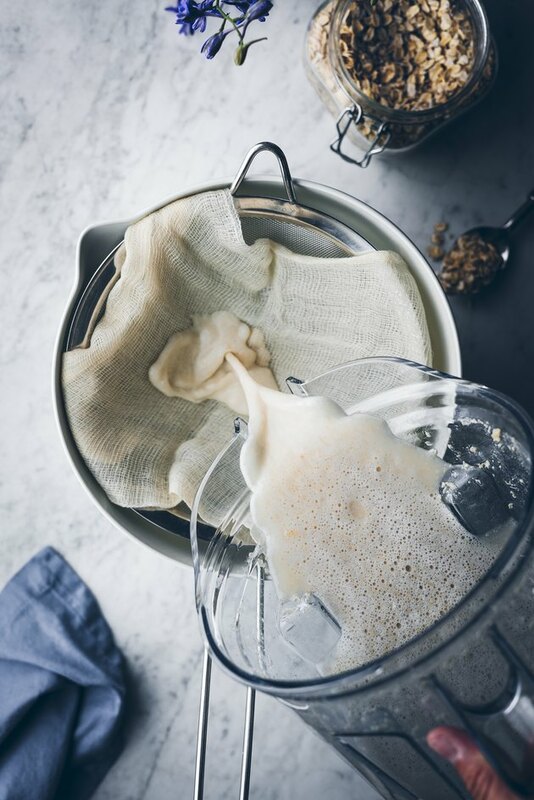 Pour in the oat milk and squeeze until only the pulp remains. Stir in the salt, maple syrup, and vanilla extract (if using). Taste, and add additional sweetener if needed. Store in a sealable container in the fridge for up to 4 days. Shake before using and enjoy! Do not heat up oat milk as it will turn it into a thick, slimy mess.